As parents, we are responsible for doing it all, and throwing a successful birthday for our kids is no exception. But many times, we get caught up in being the “event planner” rather than enjoying the party with our kids. I’m sure you’ve heard this many times, “The days are long, but the years are short.” While some details of the party may seem to consume your attention until the party is over, don’t forget to take time to make memories that will last. Happy memories are far more valuable to a child than having the perfect party. To make sure you and your kids can both enjoy the party together, we’ve got a few tips for you below. Whatever you can pass off on someone else, pass it off. Get grandparents, friends of the family, and other willing subjects involved. If it’s in the budget, even consider hiring staff to take care of the details: caterers, cleaners, event planners, etc. The less you have to do, the more time you can spend on what really matters, your child. If you’re like many parents and it worries you to let go of control for fear of sub par results. You have to learn to let it go. That’s certainly easier said than done, I know. So if you need help doing that, just keep reminding yourself what’s most important. Eventually you will find your priorities are just where you want them to be. If you’re running late or have last minute tasks to complete before the party, you’re setting yourself and your child up for disappointment, even if everything turns out wonderfully. Start planning at least three months out. Buy the gifts and wrap them, rent the venue if you choose to have the party outside the home, gather or make decorations. Do as much as you can before hand to save yourself the headache and to give your child more of your time, the best gift you can give. Nominate someone you trust to oversee the day of the party. Make it clear exactly what you need from them. Create a mock schedule they can go by the “day of” the party. Be as detailed as you can be. Meet with this person ahead of time so they are well aware of their duties and you can sit back and enjoy the party just as much as all the rest of the guests. And trust me, your child will notice. If there is no room in the budget to hire people to help, you must at least consider making room for a photographer. Why? Because it is likely that there will still be a few moments that you will miss. If you invest in a great photographer, they will capture every moment, even the ones you aren’t able to experience first hand so that you can have peace of mind that you won’t really miss a thing. A great tradition to start for when the party is all over and you have the pictures in front of you, is to sit down with your birthday boy or girl and relive the party through the pictures. Tell each of your perspectives and share funny stories you remember. This is a great time for you child to tell you first hand about all the things you might have missed. The time you spend with your child is the greatest gift you have to give. For some of us, it is natural to want things to be perfect for our children, especially on their birthday. But allowing yourself to get caught up in the details instead of giving them your time is a mistake. Luckily, it is a mistake that can be easily corrected by using the tips above. Parenthood is a juggling act and no parent is perfect. But to give our children the childhood they deserve, we must first realize our priorities, and then act on them. 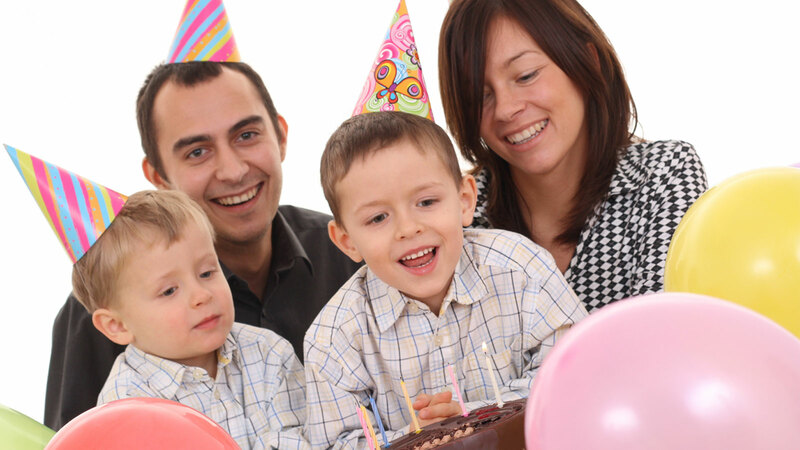 Want to cut down on the stress and find the easiest way to be there and create memories for your child on their birthday? Check out all Pump It Up has to offer. This is great advice! We got way too caught up in running our sons birthday party last year that we didn’t get to enjoy it with him. This year we are taking your advice and will be hiring a photographer and having 2 other family members help oversee the party. Thank you for sharing this! The staff made my daughters7th birthday the best by far. Max,Noel, and forgive me for forgetting the young ladies name, but they were all great and super fun… We attended a party the very next day at Rebounders, and everyone who attended both parties said pump it up was way more fun, organized, and the STAFF was by far I can’t stress this enough they were overall better.